The name LEGO is an abbreviation of two Danish words “leg godt” meaning “play well”. It was founded in 1932 by Ole Kirk Kristiansen and remains a family owned company. It has incorporated a number of characteristics specific to the Danish culture, such as a non-hierarchical structure – which translates into a very flat organisation in LEGO. So they look for people who are going to embrace collaboration and have fun. Even in sales teams that are normally very competitive they look for people to be more collaborative to partner and work with their teams to build longer-term customer relationships and brand loyalty. There is no room for “EGO” at LEGO where employees at every level are expected to challenge their boss as a means of coming up with the best ideas. LEGO’s CEO, Jorgen Vig Knudstorp says “Blame is not for failure, it is for failing to help OR ask for help.” This is reinforced by the owners of LEGO, who promote collaborative family values. David Gauntlett, in his contribution to the book LEGO Studies (Mark Wolf, 2014) sees LEGO bricks (the product made up of interconnecting parts) as a social tool, fostering connection and collaboration spurring the potential of children and adults and their natural imagination. New employees are already customers who use the LEGO system to create new products – in many cases part of the job interview is to design a new LEGO product from a bunch of bricks provided. Collaboration – up, down and across the organization and with suppliers and customers – is a secret to LEGO’s spectacular growth over the last 10 years. It has given them the capability of customer foresight – a cultural ability to develop and deliver new products that excites their customers’ imaginations and creates incredible loyalty and advocacy. To find out more about how you can create this culture in your business, read our book, “The Customer Culture Imperative“. How do you get employees to care about customers? This is a question I often hear from leaders of large companies that want to create customer centered organizations. It is one of the key challenges of becoming customer centric. Here are a couple of ideas that we have seen work well. Given we are all customers of someone, at some stage in our lives, we can all recall having a great customer experience or a really bad customer experience. We run an exercise with leaders and employees of our clients that is a really effective way to build empathy which hopefully leads to compassion for customers. We ask them to recall the best or worst experience that have had and to break down the elements that made up that experience, why did it stick with them? More often than not this experience brings back strong emotions, participants get excited or even angry recalling their experiences. At the end of the exercise we ask participants, has your organization created any of those really great or really poor experiences? Most people will admit yes so the question is why do we as an organization allow those poor experiences to happen when we know how powerful the positive experiences can be? As you can imagine this fosters great discussion and engages people emotionally and intellectually in firstly understanding why it happens and then what to do about it. Ultimately everyone in an organization is there to help others get their jobs done as well as their own, it is this combination and collaboration of people that creates compelling value. Think about companies like Apple and Amazon where smart teams of people work incredibly hard together to bring their products and services to life for millions of customers. Building a service mindset helps all employees think about how they can help other parts of the organization be successful so that they can all win in the marketplace. A service mindset requires all employees to think about the impact of their decisions and work not only on customers but other teams across the organization. A key challenge in large organizations is the distance many leaders and employees have between them and direct customer feedback. There is nothing more powerful than hearing directly from customers. It is simply not the same to hear something second hand as it is usually devoid of emotion and context. As a result another exercise we encourage is having leaders and employees hear directly from customers in open forums or focus groups. The goal is to not just get information or new insights but to gain a sense of how customers really perceive the organization and their top of mind issues. More often than not participants gain valuable new insights into how customers really think about their organizations. It sounds strange but in many organizations customers are an afterthought. People are not encouraged to really think about customers in their decision making processes. There are limited rewards or recognition for people that go the extra mile for customers and as a result there is limited upside or downside. The result is a lack of real passion for customers outside of a small number of salespeople who live and breath customers as their personal livelihood. We know however that this is simply not enough. Customer passion must be pervasive across the organization for both the customer and the company to benefit. Leaders can give people permission to care about customers by demonstrating that they care through their actions. Then over time they need to expect employees to care and simply not tolerate bad customer experiences. One of NRMA’s services is roadside assistance. They have many great stories of NRMA staff going the extra mile for customers when they are at their most vulnerable, i.e. stranded with their broken down car. One emergency roadside assistance employee even dropped a customer’s groceries to their home so they would not spoil! What else can you do to ensure employees act in the best interests of customers as well as the business? A friend of mine travelled last week from Bangalore to Dubai on IndiGo Airlines. She said it was low cost, with seats that would lean back giving a feeling of more space, along with great customer service. She travelled coach class and yet was addressed by name by the flight attendant. IndiGo placed its first order of 100 aircraft with Airbus to start its business as a domestic airline in India. The size of this order ensured low operating costs, full maintenance support from airbus and the latest aircraft technology and comfort. In 2005, when other low-cost carriers were working with older, leased aircraft and battling a reputation for inferior service, Indigo inked a deal to buy 100 new A-320 jets from Airbus, purchasing at volume to ensure a lower price and a partnership-type commitment on maintenance. IndiGo’s investment in the training of its staff and its [aircraft] fleet killed whatever difference might have existed between a low-cost carrier and a full-service carrier by offering equivalent service. 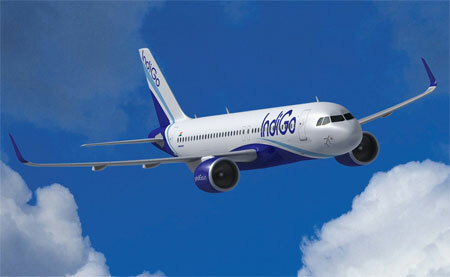 By 2011 Indigo had neatly 20% of the rapidly growing Indian domestic market. In September 2011 it introduced its first international flight to Dubai. Indigo turned regular business travelers into loyal customers because it never acted like a budget airline. From the beginning, its purchase of all new aircraft helped it avoid maintenance problems, and superior planning helped it to match or exceed the on-time performance record of its full-service competitors — even though rapid turnaround of its planes was the key to the company making money. But it also went beyond the basics to reinvent the first-time flyer segment. When Air Deccan, acquired by Kingfisher in December 2007, was struggling to fight the impression that their planes operated like public buses with wings, IndiGo pushed best practices even when there was no compelling reason to do so. In a country where other carriers shared passenger-stair vehicles and the top airline still had to have disabled passengers carried up the staircase to plane height by ground crew, for instance, Indigo brought in larger, handicapped accessible passenger ramps from day one. Similarly, the company equipped check-in staff with hand-held scanners that allowed passengers without baggage to avoid the dreaded scrum at the counter. And at least in the beginning, flight attendants manning the beverage carts addressed even lowly economy class passengers by name (with the aid of the seating chart). The strategy paid off: Since 2008, when the company booked its first profit even as high fuel prices and the economic downturn ravaged its competitors, IndiGo’s net income has grown more than five times — from a shade under $20 million to more than $120 million. With Boeing forecasting that Indian air traffic will grow 15 percent a year over the next five years and that India will require more than 1,000 commercial jets over the next 20, according to the Wall Street Journal, that may just well make IndiGo the fastest growing airline in the world’s fastest growing aviation market. The airline, which earlier ran role specific training programmes like any other airline, decided to merge training into one central operation with three segments: one, functional skills training aimed at specific roles like that of pilots, in-flight crew, ticketing attendants, baggage handling, among others. The next segment was coaching for customer service and soft skills. The last came leadership training at all levels. This last segment of training, designed to encourage all employees to take ownership of customer issues, Ghosh insists, has really helped the airline develop a strong loyal customer base. Do you have the right skills sets in your organization to drive high value at low cost? Insurance is a “grudge” purchase. No-one likes to pay for something they may never need or use. It’s a bit like going to the dentist for a tooth extraction. Then when you have an insurance claim, getting compensation for what you insured can be like extracting teeth – very painful. It’s not just the processes that cause pain, but it’s the attitude of the people working in the insurance claims function. Often they come across as doing you a favor and treating you with distrust. They create a perception that they are there to protect the company, not the customer. A friend, who spent his entire working life in the insurance industry, told me that one of his early roles was as a claims officer. He said that whenever a valid claim was made he immediately paid out sufficient funds for people to replace the basic things they had lost. He treated customers with empathy and trust and did everything he could to fulfill their legitimate needs. It served him well. When he became an insurance agent for the same company, he contacted all of those people he had dealt with in his “claims” role to discuss their other insurance needs. He rapidly gained a large client base and became very successful. Many of his clients switched from other insurance companies to buy insurance from someone they trusted and could meet their needs. Michael W. Zuna, executive vice president and chief marketing officer at Aflac, says the company is committed to keeping the promise it made to its customers—to be there when they need insurance most and take their concerns to heart. “We realize that stress is heightened during medical emergencies, and we strive to make sure their experience with us puts them at ease,” Zuna says. 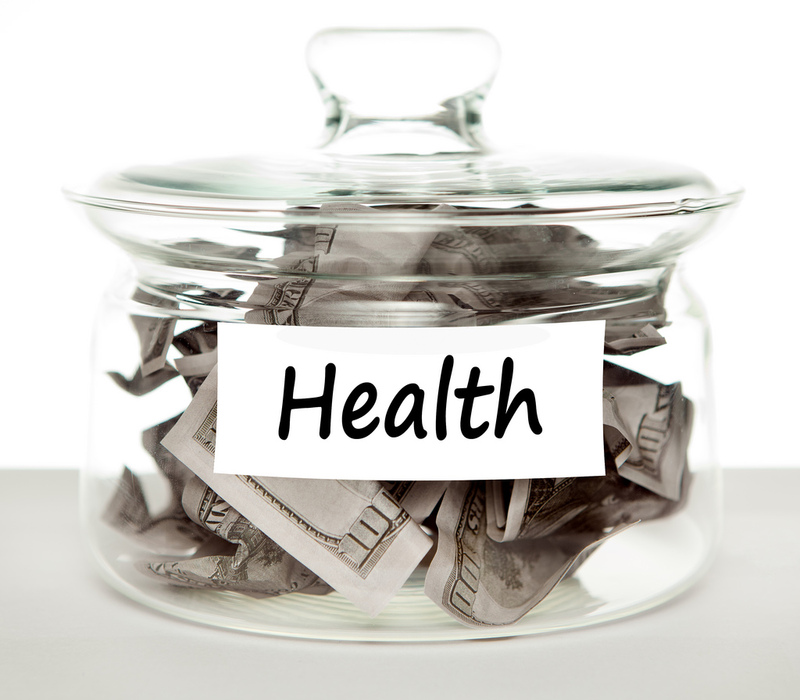 Especially in a changing health insurance landscape, customers do not know or understand the insurance policies that may work best for them or what they need to do when they’re faced with a health problem. Zuna notes that Aflac prioritizes educating customers to prepare for the unexpected and helping them through difficult times. 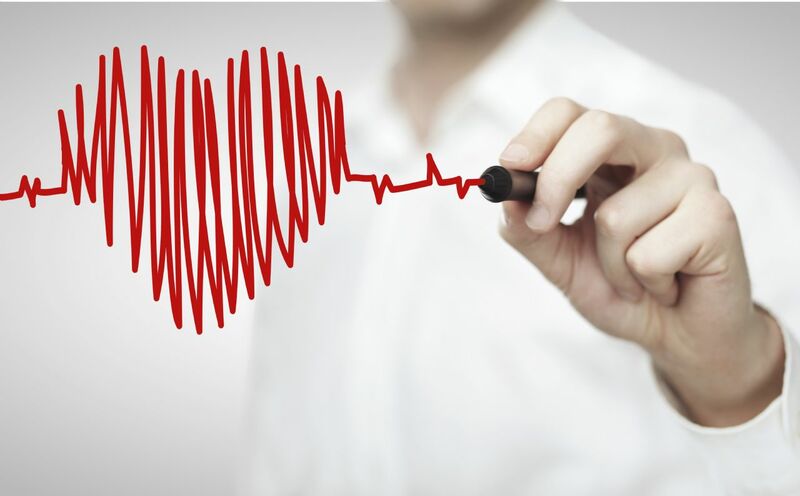 “Medical bills can add up quickly, so we make sure to pay claims fairly, promptly, and directly to our customers usually within four days so they can use those funds as they see fit,” he says. The bottom line is that insurance companies must listen to their customers, empathize with them, and help them address, and ultimately solve, the problems that they’re facing. How can insurance companies do this on a consistent basis? They need a customer-focused culture that recognizes how customers can best be satisfied in a way that is also profitable to the business. This “customer centeredness” must exist in every department, particularly the claims department, for the “grudge” to be eliminated from the customer’s thought processes. This will ensure customer loyalty and retention and help safeguard the customer’s best interests. Can Nokia regain its customers and former glory? As Nokia’s new chief executive, Stephen Elop, took over in September 2010, he faced a formidable task: to regain the company’s lost ground in the smartphone segment of the global phone market, especially in the United States, while maintaining its worldwide dominance as the largest maker of mobile phones. His biggest obstacle, according to Mr. Hakkarainen, a former manager responsible for marketing on the development team, as well as two other former employees and industry analysts, may well be Nokia’s stifling bureaucratic culture. In interviews, Mr. Hakkarainen and the other former employees depicted an organization so swollen by its early success that it grew complacent, slow and removed from consumer desires. “We fell behind, we missed big trends, and we lost time. At that time, we thought we were making the right decisions; but, with the benefit of hindsight, we now find ourselves years behind. During the last 2 years Elop has swept away many layers of Nokia’s previous organisational structure. He has refocused the business on leadership (managers taking decisions and responsibility) and markets (innovation driven by people competing in key mobile phone segments). Decision-making has been delegated to local/national teams rather than relying on decisions by an overly-centralized senior management team. Goals and incentives for the senior leadership team are now more transparent. The new strategy brings clarity and a sense of direction to Nokia. Nokia’s recently launched new 620, 820 and 920 Lumia Windows 8 smart phone range has succeeded in garnering generally positive reviews. It is changing the perception that the embattled company may yet regain its former glory as the world’s premier mobile phone maker says Ray Shaw who provides a review of the pros and cons of Nokia phones compared with its rivals. But will this be enough? In order to survive and prosper against Apple and Samsung in the smartphone market, Nokia will need a customer-focused culture throughout its entire business (not just at the front end) to drive innovation and sustained growth and profitability. This requires embedded behavior change that goes beyond restructuring, beyond a refocused strategy and beyond decentralized decision making. It requires a completely new mindset where there is an understanding and belief, translated into behavior, that’s what is best for the customer is best for the business. Imagine your business faces the challenges that Nokia faces. What would your priorities be?